cms.exchangeandmart.co.uk – Page 9 – Manage news and blogs for E+M here! If you decide to take your pets in the car with you, it’s important that they are kept safe at all times, even if it is just a short journey. Many pet-owners are unaware of the laws around driving with pets, and that they could face a hefty fine if they are found driving without their pet properly restrained. If you’re planning a longer trip, why not test your pets out first with some shorter journeys to get used to the car? Some animals feel agitated in smaller spaces so getting them used to a new environment will prevent any stress on the day. Check your pet’s health before you travel, especially if you’re taking them on holiday or on a longer journey. Ensure they have the relevant pet insurance. Feed your pet a light meal a couple of hours before you plan to leave and pack snacks and water for breaks in the journey. Toilet breaks are essential not just for us humans, but especially for our pets. Make sure everyone has a toilet break before and during any long journeys. It’s also a good idea, if you’re travelling with a dog, to take them for a long walk before the journey which might tire them out and help them relax. You could be fined if your pet is deemed to be a distraction so the calmer they are the better. Make sure you have appropriate restraints for your four-legged friend, like a doggy seatbelt, pet guard or carrier. This is in accordance with Rule 57 of the Highway Code and sticking to this rule can ensure you don’t face those fines. Remember to pack your pet’s favourite toys, blankets and leads. These can bring them comfort during the journey and ensure you’re prepared for when you reach your destination. If you breakdown during your journey, it’s important to only let animals out of the car when it is safe to do so. Remember to always keep them on their lead or in their carrier and let the recovery service know you’re travelling with a pet. These tips will help ensure that you and your passengers are kept safe on your journey. 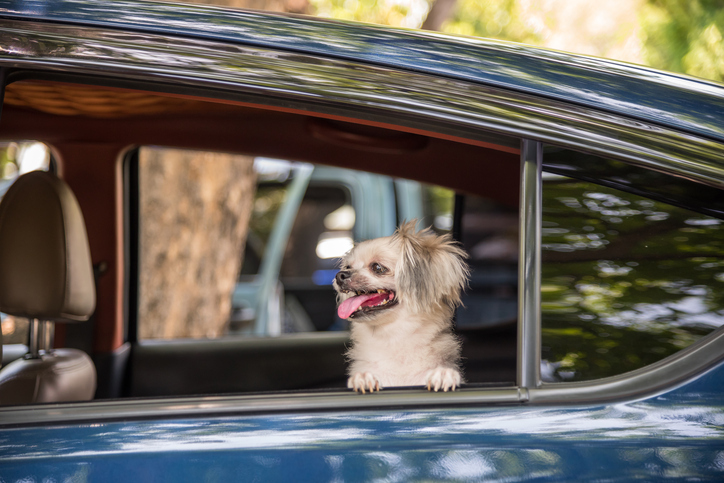 Are you looking for a car that’s more pet-friendly? We have thousands of cars from trusted dealers local to you, of all shapes and sizes. Vehicle Excise Duty, or VED is generally known as the car tax. In recent years, in a drive to reduce CO2 emissions and thereby lessen the effects of motoring pollution, the government has used the VED system to penalise drivers with less efficient cars. They made changes that came into force in April 2017, but because so many cars were falling into the zero or lower rated bands, they have tweaked the bands from April 2018 onwards. It means that drivers of new vehicles will be paying more, something to bear in mind next time you’re in the car showroom. As before, you’ll have to pay a tax rate in the first year of ownership that is linked directly to the car’s CO2 emissions. Thereafter, there is a standard rate each year of £140 for cars whose list price is less that £40,000, and a standard rate that includes an additional £310 cost for cars over £40,000. It means that premium models will now cost £450 in total per year to tax. It does signify for new vehicles, that the days of a VW Golf 2-litre diesel costing only £20 per annum in car tax are over. But the government have promised that the tax raised will go directly to road improvements, so perhaps we will all come out as winners. The most notable change is that defects will be categorised differently than before. Now you will be told about Dangerous, Major or Minor faults. Dangerous and Major faults will both result in a fail, while Minor defects will be passed. MOT testers will continue to give advice about items you need to monitor, known as ‘advisories’. We’ve got a full rundown on the changes here. The current MOT test certificate will change to a new style that will list the types of defects. And most vehicles over 40 years old will no longer need an MOT as long as they haven’t been substantially changed. If you ever worry about forgetting the date of your MOT – and remember that there’s a £1,000 fine if you’re found driving without a valid MoT certificate, there is a new reminder service. Drivers can now get a free annual text message or email four weeks before their car’s MOT is due. You just need to sign up online. We want your driving experience to be enjoyable, but also safe, so here are our top tips for driving with kids. Our first, and most important, tip is safety. 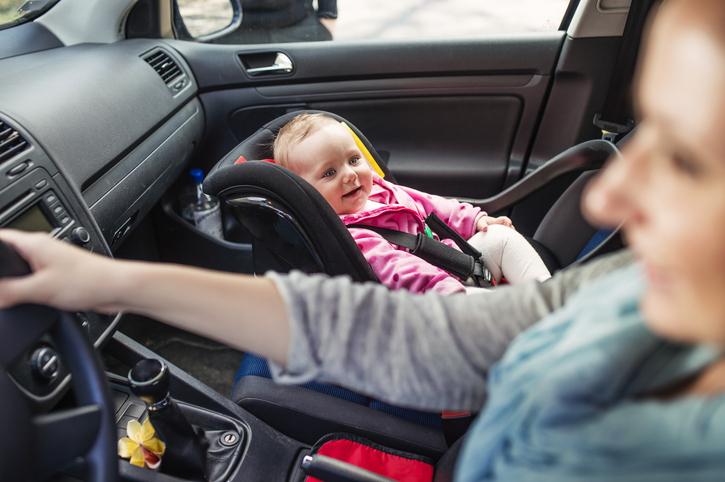 If you’re driving with children under the age of 12, or under 135cm in height, you are legally responsible for ensuring that they are seated in a baby or child car seat. There are a range of child car seats available, but whichever one you choose must be suitable for your child’s weight and size. They also must conform to regulations and ideally should be fitted by a trained car seat fitter. Another important safety factor is the health and condition of your vehicle. 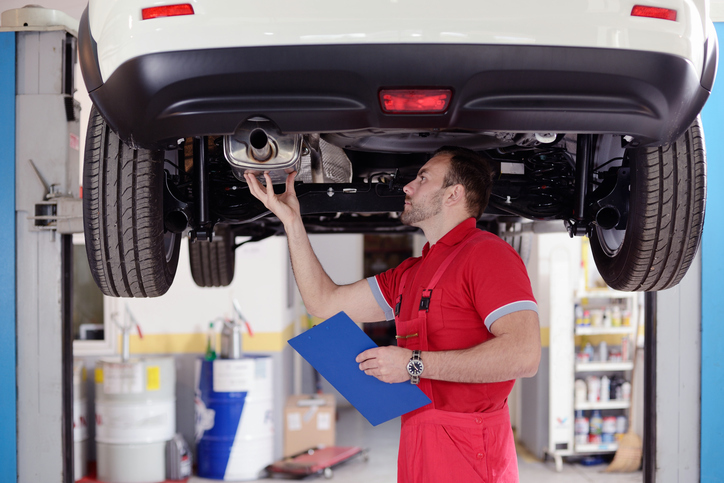 Ensure your vehicle’s health is up to date with its annual MOT and services. You can also carry out regular checks yourself between these services, especially in winter. If you’re planning a longer journey, the best thing to do is plan ahead. Check your route and opt for the safest route over the fastest. Breaks are important not only for the driver to have a rest, but also for your passengers to stretch their legs and have a toilet break. Pack plenty of snacks and water to keep hydrated during the trip, especially in sunnier climates. It’s safe to say that mobile phones and tablets are a great way to keep kids occupied but keep an eye on the time spent on these devices as they can cause motion sickness over a long period of time. Take the journey as an opportunity to get them away from their phones. Breakdowns are never ideal, especially when you’re travelling with children. Make sure you only leave the vehicle when safe to do so and inform the recovery team that you are travelling with children. Keep kids entertained. Traditional games such as eye-spy and the licence plate game are oldies but goodies. If they get bored easily or need a time out, pack some reading books or puzzle books. As the driver, try and avoid playing along (we know it’s hard) but the priority is to keep them occupied whilst you concentrate on the road. So, the next time you’re planning a journey with kids, make sure you remember our tops tips for a fun, safe trip. Are you searching for a new family car? Search thousands, local to you, from our trusted dealers. Not only is California loved by A-listers from Hollywood, but it has also inspired car makers like Volkswagen and Ferrari. 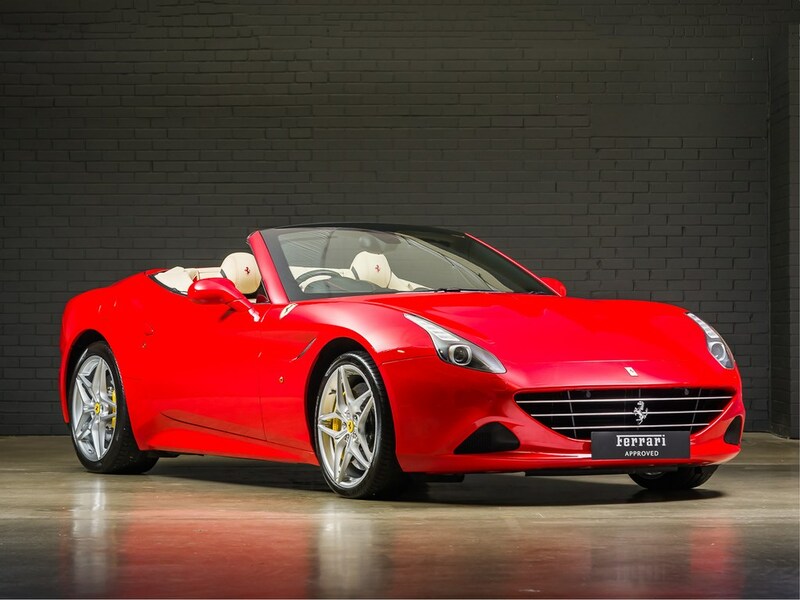 The Ferrari California was originally launched in 2008, followed by variants such as California 30 and most recently, California T.
Reaching 0-62mph in 3.6 seconds and a top speed of 196 mph, the California T not only looks great but is pretty powerful, as you would expect from Ferrari. It’s no wonder they named it after a place synonymous with glamour and it certainly wouldn’t look out of place riding down Rodeo Drive. You’ll need the bank balance of Brad Pitt to afford one, with a 2017 model starting from around £127,000. 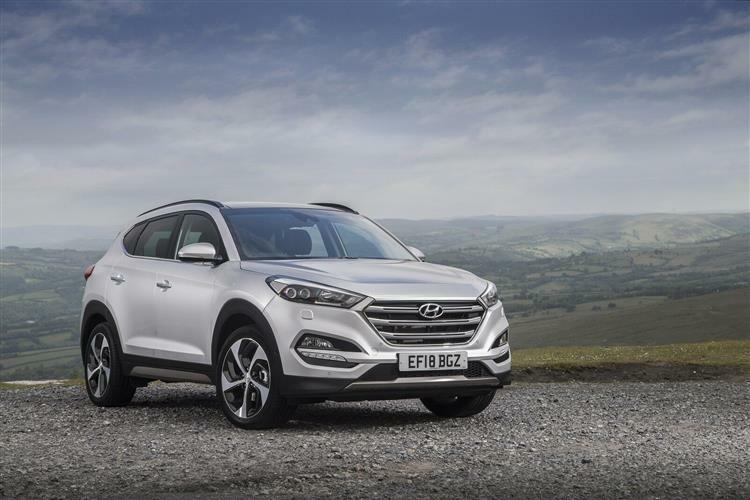 We’re staying in the USA but travelling south, near the Mexican border for two destinations that inspired Hyundai – Tuscon and Santa Fe. Both large, 4×4 models, with the Tuscon the smaller, compact SUV of the two. Woah, we’re going to Ibiza! 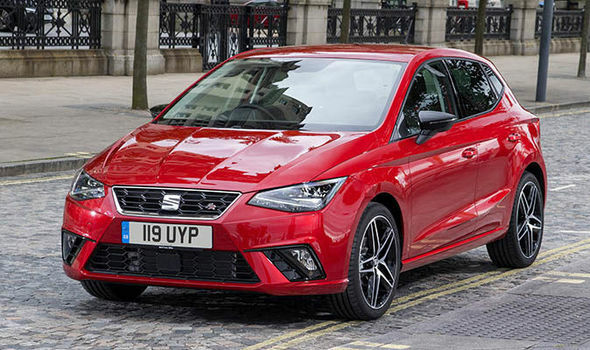 Being Spanish, it’s not hard to see why SEAT has a long history in naming its cars after towns and cities in Spain, from the likes of Leon, Toledo and Altea. But by far the most iconic of SEAT’s offerings is the Ibiza. Named after the party loving island, both car and location are popular with the younger generation. The Ibiza is a great, sporty number and not too pricey! The 3-door option is perfect as a first car for someone who likes to be seen. Most modern models come in a variety of colours, sound system upgrades and all the gadgets. It’s a 2-hour plane journey from Ibiza to our next destination, Capri, an island in the Province of Naples. 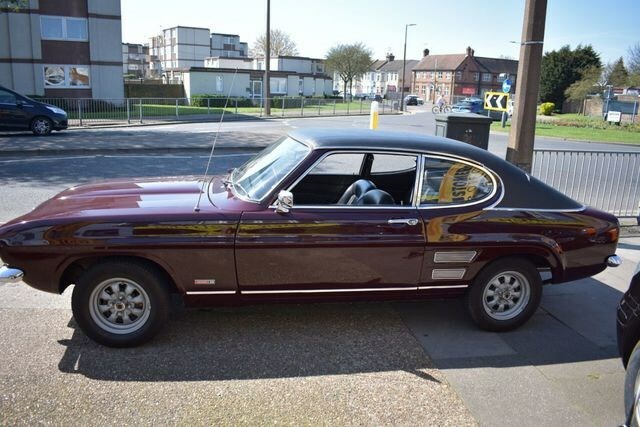 We’re also going back in time to the days of the Ford Capri, first released back in 1968. It was a highly successful model for Ford, going on to sell nearly 1.9 million in its 18-year run. Very much a classic car these days, depending on the condition and spec, a classic Capri can cost between £10,000 and £34,000. It’s time to get into the carnival spirit and head to Rio de Janeiro, Brazil and the small compact from Kia. 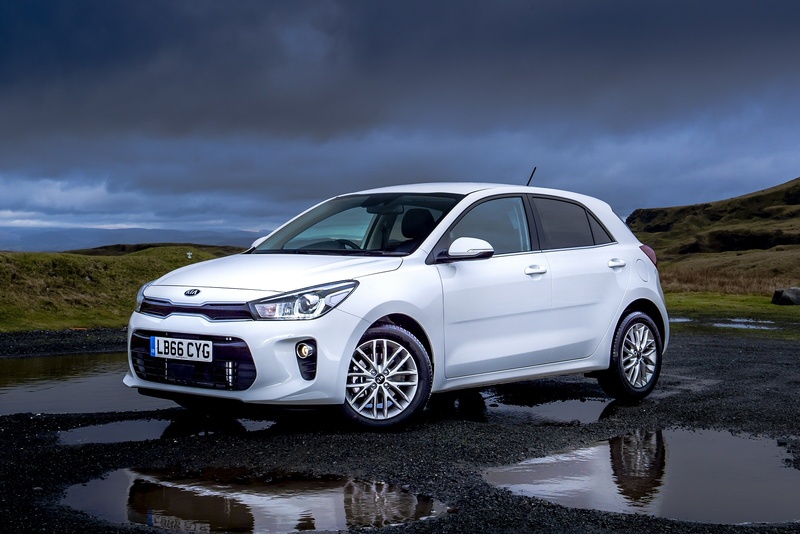 The Kia Rio is now in its fourth generation from the South Korean manufacturer since its original launch in 2000 and competes with the likes of the Ford Fiesta, VW Polo and Skoda Fabia. If you’re looking for a 2017 model, prices start from around £8,000 – £9,000. Its namesake is a little more vibrant, known for its carnival, samba and beaches. It is one of the most visited cities in the world, with tourists flocking there every year to visit the many iconic landmarks including Christ the Redeemer. For the last stop on our world tour, we’re heading back home to the UK for the Austin Cambridge. Not only was it named after the university city in England, it was also British made in Oxford. 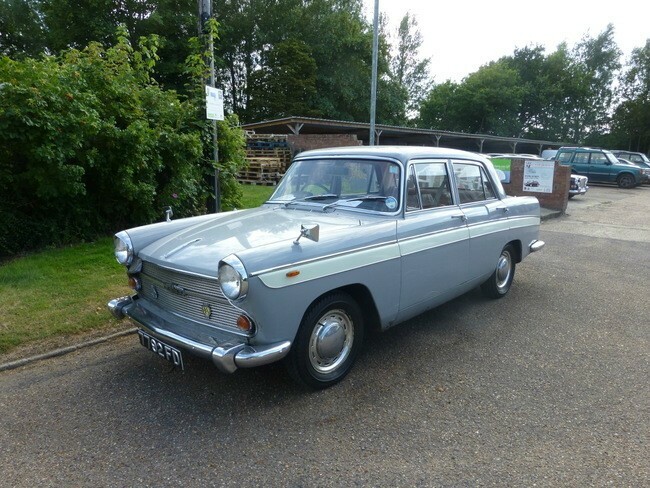 Production of the Austin Cambridge ran for 17 years, in a range of body styles. Deluxe versions had heaters, leather seats and carpet, with a radio and clock as optional extras. Cambridge itself is most famous for the world-renowned University of Cambridge, founded in 1209. Famous Cambridge alumni include Charles Darwin, Sir David Attenborough, Stephen Hawking and Prince Charles. Here’s just a few examples of new technology becoming a standard feature in new cars. Some basic features for new cars are systems that assist you with your everyday driving, but just that little bit better and safer. Some of the most common are Brake Assist systems. These use cameras or radar technology to be aware of other vehicles and pedestrians around your car. It allows the car to brake in the safest and quickest way, supporting what you’d want to happen. Nissan for example has their ProPILOT that combines advanced image processing technology using four high-resolution cameras along with information from 12 ultrasonic sensors around the car. This advanced driving assistant uses the information on the traffic and road conditions data supplied by the technology to automatically control the distance to the vehicle in front. It also steers the vehicle to help you keep to the centre of the lane. An added and very helpful feature is its fully auto-parking system to help you squeeze into that small parking space. Keep your eye on that in the future – there are currently parking systems in development where you can park the car while you’re not even in it! Modern drivers have long become used to cruise control, where with a flick of a switch you can set your speed on the motorway and take your foot off the accelerator, but now there’s Adaptive Cruise Control available. This is often linked to a Stop&Go function and regulates the car’s speed depending on traffic flow, even allowing for drivers to come to a complete stop and then start again automatically. Even such things as the headlights are being developed with new tech to improve them. The new Matrix LED Headlights are extremely useful. Not only do they provide precise illumination of the road but they reduce the risk of dazzling other road users by automatically switching individual LEDs in the headlight unit on and off or dimming them as necessary. More traditional tech has improved too. Audi are continuing to develop their All-Wheel-Drive system which provides outstanding grip with the road in both extreme and every day conditions. It was developed through Audi motorsport engineering, with Quattro being the cornerstone of their philosophy. Today it brings safety, sportiness and performance to everyday driving. There is a downside to all this in-car technology. 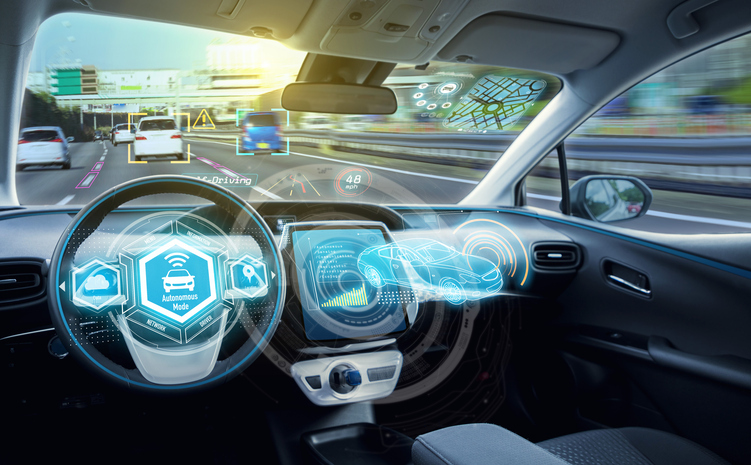 A recent survey revealed that it is evolving faster than the typical driver’s understanding. So, it’s not unusual for owners to be missing out on the benefits of features that they may have paid more than £1,300 for. It highlights the importance of a good dealer, who’s willing to spend the time with you when you buy the car (and perhaps at a later date), to take you through all that amazing tech. But as we’ve seen, this new technology can help make driving easier and safer, and is definitely here to stay. Here’s a great one to keep you going. Any fans of the film Home Alone will surely remember the sense of urgency this track evokes. And it’s a nice upbeat one to get your festive journey going. Chuck Berry popularised this song when he released it in 1958 and it’s been covered by numerous artists since. It’s not the most obvious choice, but this is a really stirring, festive tune. It was released in 1984 and spent six weeks in the charts, even though it only peaked at number 21. A slow-builder, it’s sure to get you in the mood. One reason it doesn’t always get the recognition it deserves is the fact that Queen never recorded a video for it, so it often gets missed off the annual TV playlists at least. But you can sure get it on in your car as you settle in for the winter drive. One of the all-time classics, of course, this bittersweet tale is often seen topping votes on the best Christmas songs of all time. It never made number one – instead being beaten to top spot in 1987 by the Pet Shop Boys. But it has become a firm favourite since. 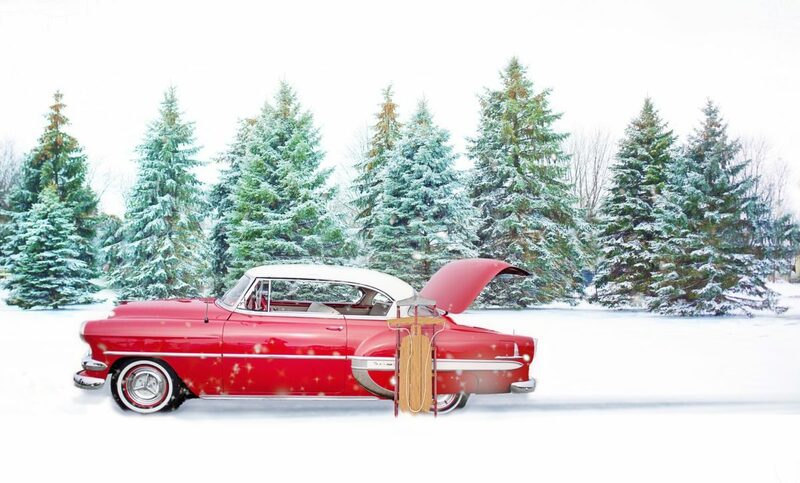 Whatever you might read into its lyrics, it’s still a festive tune that’s a must for any Christmas road trip. One to get you bouncing in the car for certain. A simple and jolly Christmas song that’s become a classic since its release in 1994. Indeed, it’s been recognised as one of few more modern songs to go down as a festive staple and it’s a sure-fire singalong for your car journey. It topped the charts in a host of countries and it reached number two in the UK. Surely this is the theme tune to any festive drive. Released in 1986, this song sums up that feeling of the drive to see loved ones at Christmas, with lyrics including: I’m driving home for Christmas Oh, I can’t wait to see those faces It also sums up the frustrations: Top to toe in tailbacks Oh, I got red lights all around Amazingly, despite its now must-play status, the song only peaked at number 53 in the UK charts in 1988. It did re-enter in 2007, reaching number 33, and again in 2016, getting to number 26. Over the years it’s been used in TV adverts and soundtracks and is now a bona fide festive favourite. Arguably, alongside the aforementioned Slade, the daddy of them all. It was released in 1973, the same year as Slade’s effort, but it only made it to number four as Slade took the honours. But it’s gone down as an absolute classic – and rightly so. 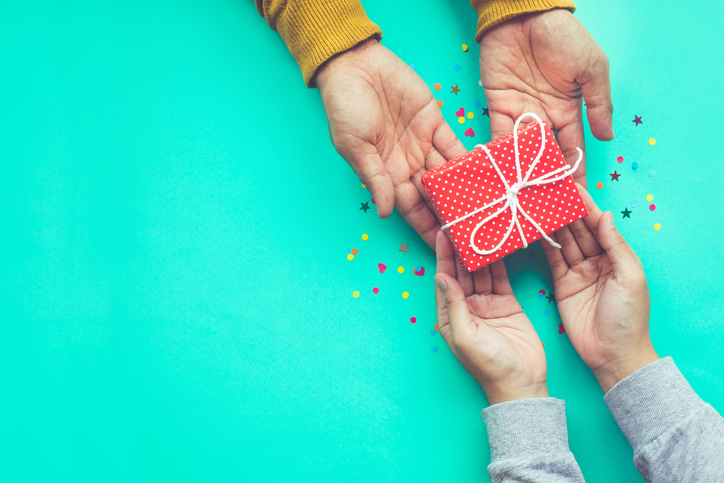 A song that encapsulated that feeling of Christmas being so special that you wish it could happen every day, it’s got it all – including a children’s choir. One to have towards the end of your playlist as you roll into the driveway. Ayrton Senna is probably the most famous and best F1 driver there ever was, past or present and his legacy still lives on since Imola 1994. 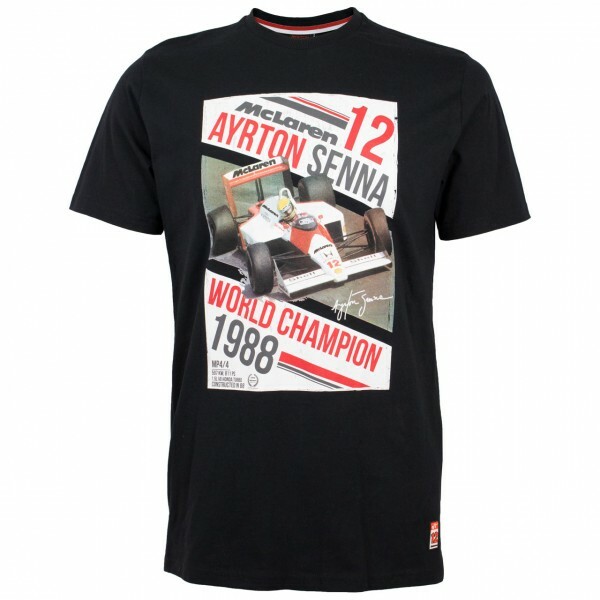 Senna’s foundation have worked with McLaren to create a t-shirt celebrating his ’88, ’90 and ’91 F1 titles. The Gran Turismo series is widely accepted to be the best in video game racing and GT Sport pushes the bar even higher. 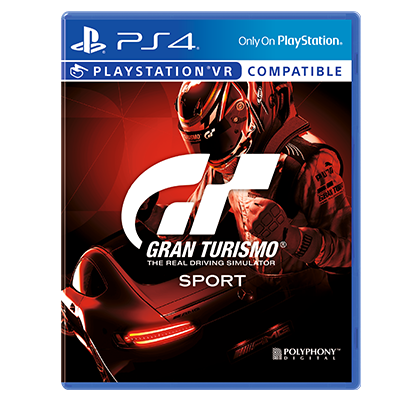 Even though it was delayed by a year in order to let Polyphony perfect the game and to use VR, needless to say, GT Sport brings you closer to the lives experienced by the likes of Lewis Hamilton and Timo Bernhard. Made from genuine petrol cans, they are available in a wide range of colours and would be an ideal gift for an extreme petrolhead. Both eye-catching and durable, the case is 0.8mm thick steel to protect your belongings against bumps and bangs. Audi driver in the family or got a friend that’s always on the go? 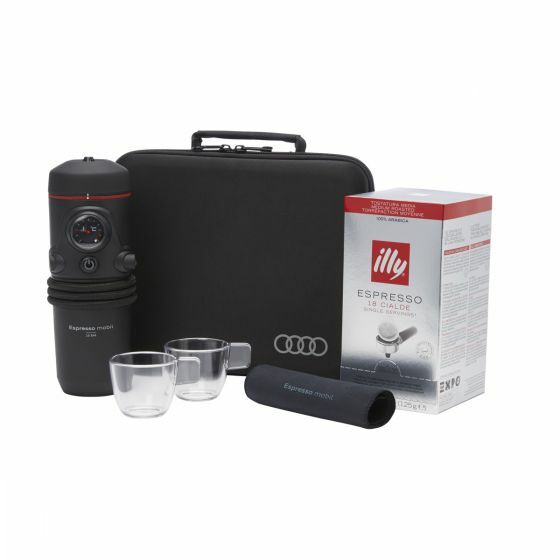 Connecting to your car’s cigarette lighter socket, the set includes two cups, 18 illy espresso pods, cleaning cloth and storage bag. Ever wanted to be an F1 driver or experience what is it like to be an F1 driver? 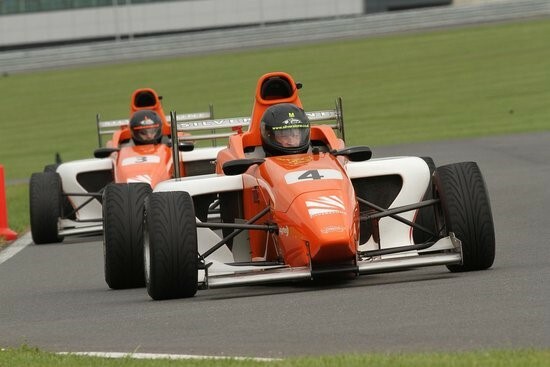 Then now you or someone else can with this Silverstone track experience! You get to experience everything associated with being a racing driver including 20 minute session with just you and the car lapping the famous Northamptonshire circuit! 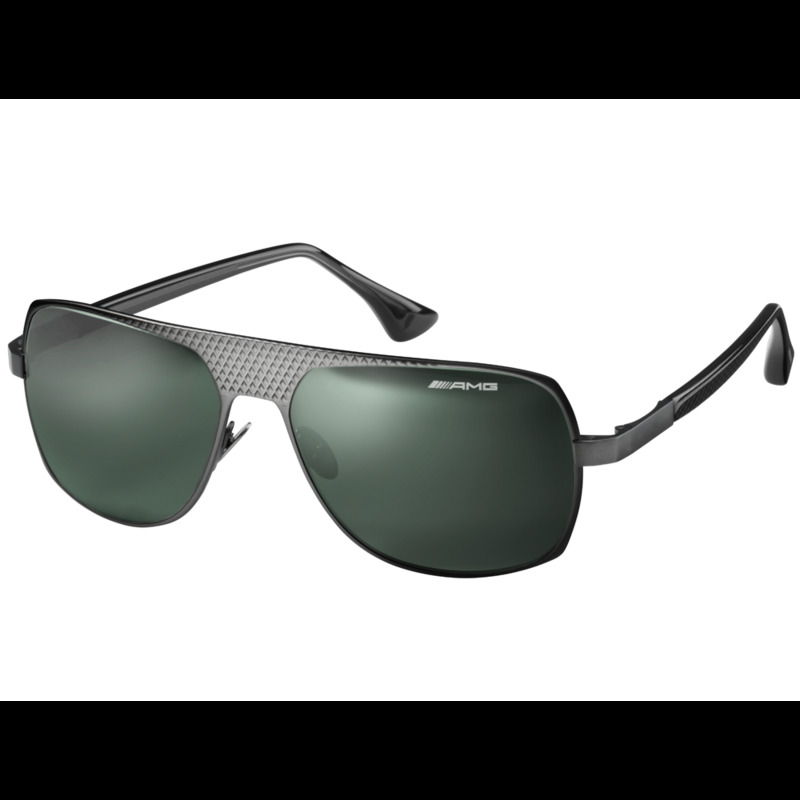 Complete with AMG diamond pattern titanium frame and Carl Zeiss Vision lenses, these are perfect for the stylish man in your life. The AMG branding is subtle, whilst maintaining quality and most importantly, safety, with 100% UVA/B 400 protection. 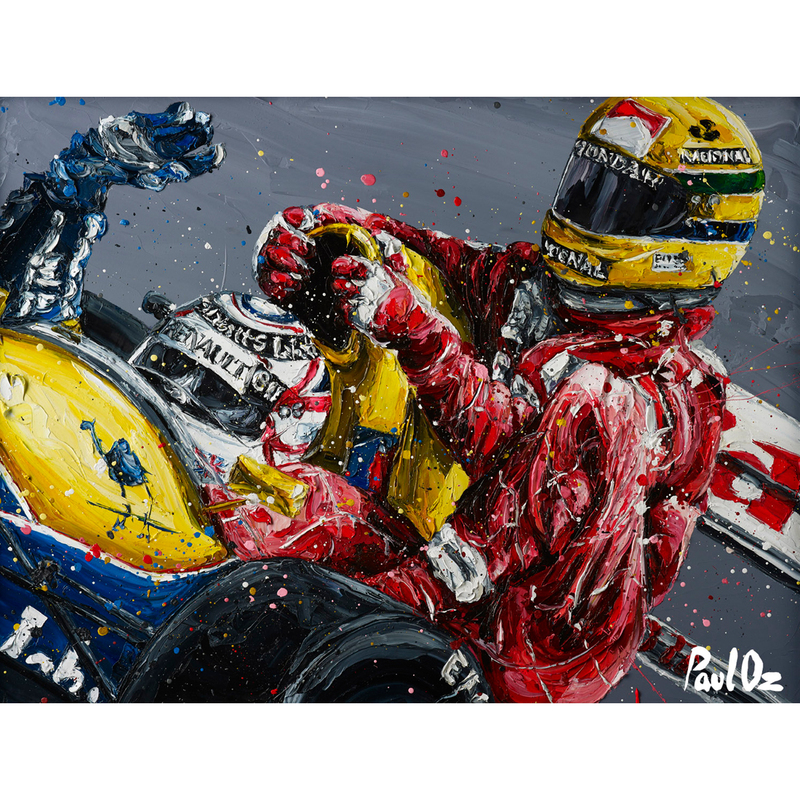 Paul Oz, one of the best motorsport artists in the world, has painted an iconic image of Ayrton Senna (who had run out of fuel) been given a lift by the eventual winner, Nigel Mansell, in the 1991 British Grand Prix. Available at part of 100 limited editions, this impressive piece of art measures at 95cm x 71cm. Smaller framed sizes are also available, plus a variety of other F1 drivers including newly crowned four time F1 champion Lewis Hamilton. 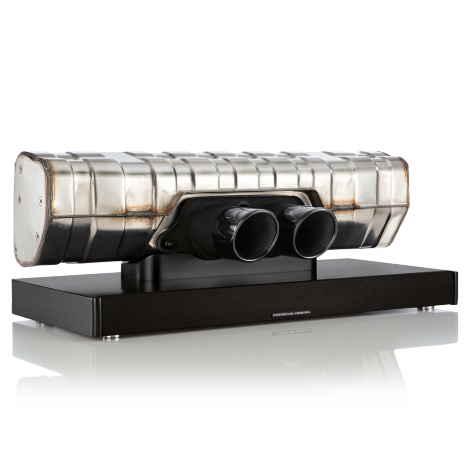 Porsche Design are known for making exquisite pieces of art for everyday items and this speaker is truly unique. Made from components to make the 911 GT3, Porsche Design have found a way to bring you bring you the best in sound thanks for its 200 watt speakers. Those exhausts only emit sound from the likes of Mozart to Iron Maiden. 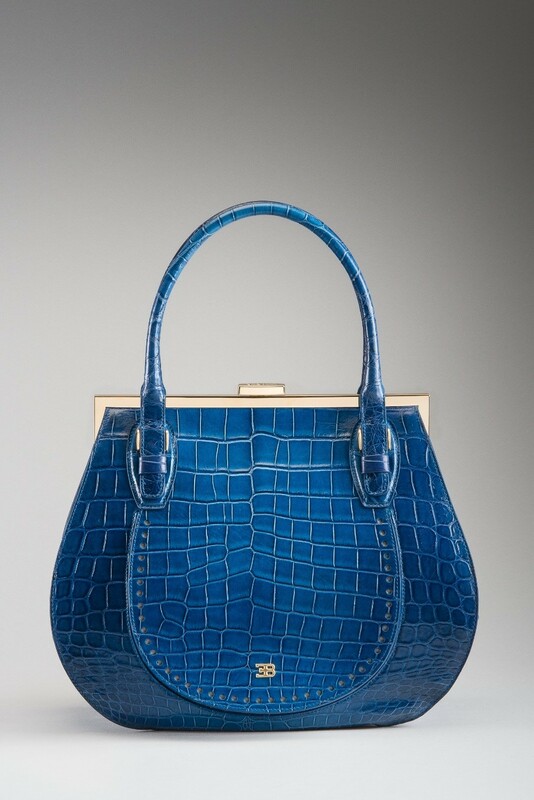 There is nothing in the world that says “I love you” more than getting your other half this hand-made crocodile leather handbag which comes with the famous EB logo. Finished in “Bugatti Blue” and priced more than most reasonable cars, this is definitely a gift that would make her stand out from the crowd. *Prices correct at time of writing. Some prices are approximates due to conversion rates. Mazda revealed two concepts at the 2017 Tokyo Motor Show. The Mazda Kai Concept, a compact hatchback that the Japanese marque says “heralds a new generation of inspired vehicle”, made its world premiere. 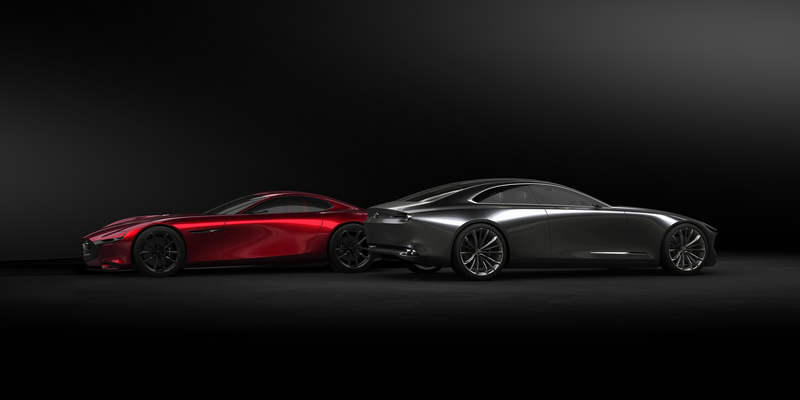 It was the second appearance for the Mazda Vision Coupe, a design concept that debuted at a pre-show event called Mazda Design Night 2017. Featuring the next-generation Skyactiv-X petrol engine, Skyactiv-Vehicle Architecture and a “more mature expression of the Kodo design language”, the Kai Concept embodies the technology, engineering and styling concepts that will define the coming generation of Mazdas, it said. Refinements in all areas of dynamic performance have produced a considerably quieter, more comfortable ride and enhanced performance, Mazda said. The Kai Concept features “muscular, solid proportions in a form brought to life by a delicate flow of reflections over the sides of the body”. Highlights of the Vision Coupe, meanwhile, has a simple “one-motion” form that “conveys a sense of speed”. The concept’s name pays homage to Mazda’s tradition of design elegance represented by coupé models like the Mazda R360, Mazda’s first passenger car, and the Mazda Luce Rotary, also known as the Mazda R130. Mazda also had the spotlight on the all-new Mazda CX-8, a three-row SUV going on sale in Japan later this year, as well as the 2018 Mazda MX-5 and 2018 Mazda MX-5 RF. Nissan expanded and showcased its electric vehicle capability at the Tokyo Motor Show. It presented two all-electric concept vehicles, signalling, it said, its intention to “maintain electric vehicle leadership in the sector”. The concepts included the new Nissan IMx all-electric Crossover and new Nissan LEAF NISMO. It also confirmed its participation in the 2018-2019 season of all-electric Formula E racing. 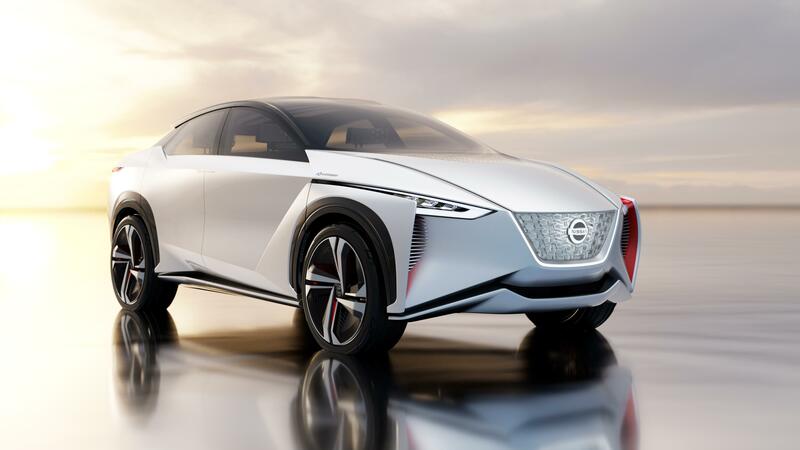 Nissan said that the IMx zero-emission crossover concept “delivers outstanding driving pleasure with seamless social integration”. It’s an all-electric four-seater crossover concept offering fully autonomous operation and a driving range of more than 370 miles. This concept utilises Nissan’s all new and dedicated electric vehicle platform married to twin motor power units that deliver 320kWh capacity and an incredible 700Nm of torque. 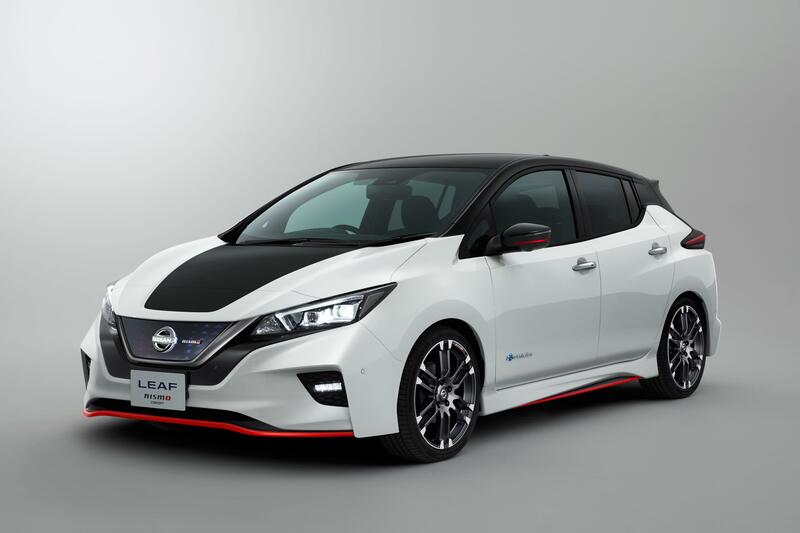 Speed fans will be most excited about the Leaf Nismo concept, which Nissan says is a marriage between clean and efficient electric technology and the driving dynamics that characterise Nismo. The Nismo Concept version of the new Leaf has a sporty exterior, as we can see. Nissan says that the application of Nismo racing technology to the car’s body results in enhanced aerodynamic performance and less lift, without sacrificing the Leaf’s drag coefficient. It said that “the black interior features Nismo’s signature red accents, creating an exciting, high-performance feel”. Mitsubishi marked the launched of a new brand strategy at Tokyo with the world debut of its e-Evolution Concept. It said that the all-electric, high-performance SUV embodied its new ‘Drive your Ambition’ global tagline, with the aim to be ‘adventurous and progressive’ in design and product. 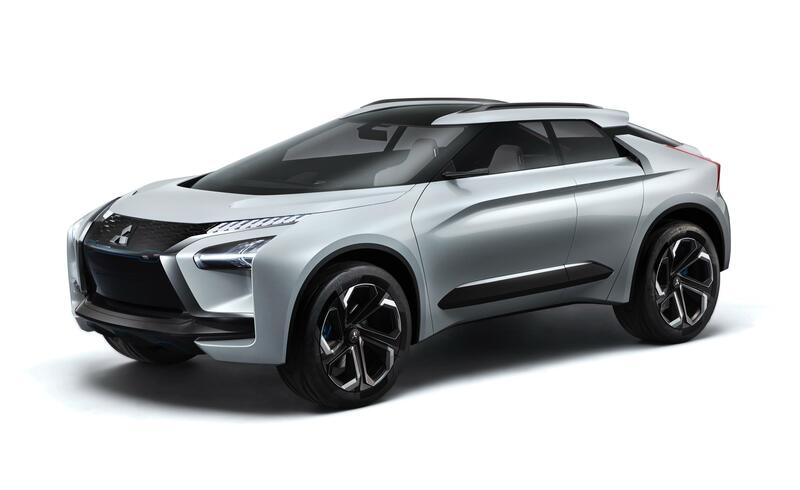 Mitsi said the concept was “a technical prototype to illustrate the strategic directions of a renewed MMC brand, incorporating the strengths of the SUV and EV with the ability to integrate new systems for a connected mobility customer experience”. 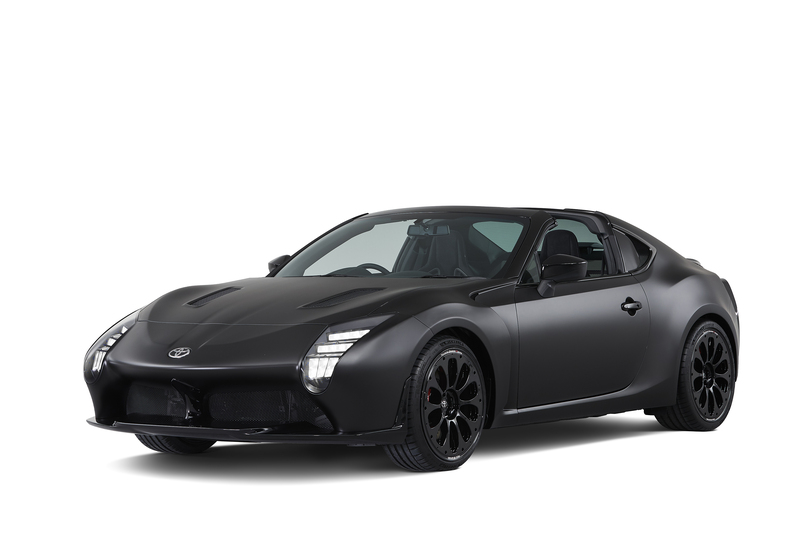 “We aim to provide vehicles that fulfil our customers’ desires through outstanding design, combined with the power, authenticity and carefully-considered functionality MMC is known for,” said MMC head of global design, Tsunehiro Kunimoto. The e-Evolution uses high-performance electric motors, fed by a high-capacity battery system, to deliver the smooth, torque-rich responsiveness that is the trademark of EVs compared to petrol-powered vehicles. The drive battery is located under the floor mid-ship of the vehicle, providing a low centre of gravity for improved driving stability. 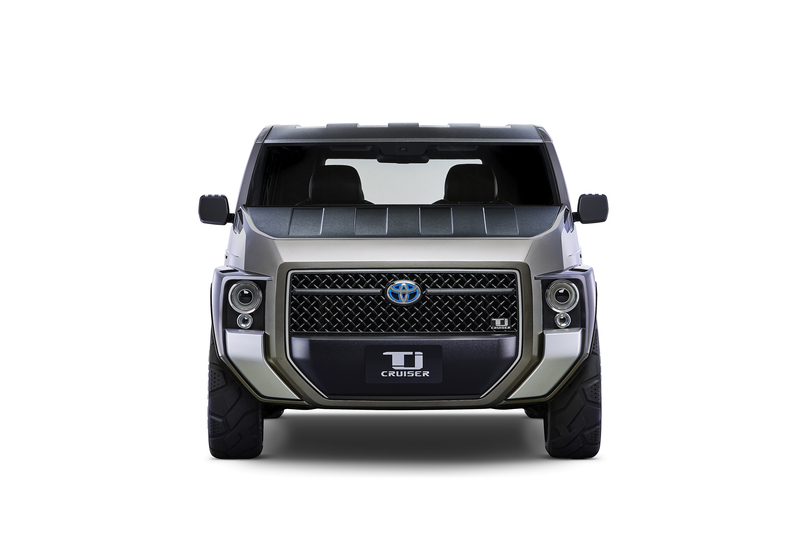 The triple motor 4WD system employs a single motor to drive the front wheels complemented by a new Dual-Motor Active Yaw Control (AYC) system that couples two rear motors through an electronically controlled torque-vectoring AYC unit. All of this is integrated into MMC’s unique Super All-Wheel Control (S-AWC) vehicle dynamic control system to greatly improve its cornering and traction performance, the firm says. Honda, being Honda, showcased everything from cars to motorbikes to weird and wacky visions of our future mobility at the show. It continues to expand its line-up of hybrid vehicles and says that it will continue to strengthen hybrid, plug-in hybrid and EV models. The headline for the show was the Sports EV Concept, a sporty-looking compact and low-slung little thing that combines, Honda says, electric performance with artificial intelligence for a proper driving experience. 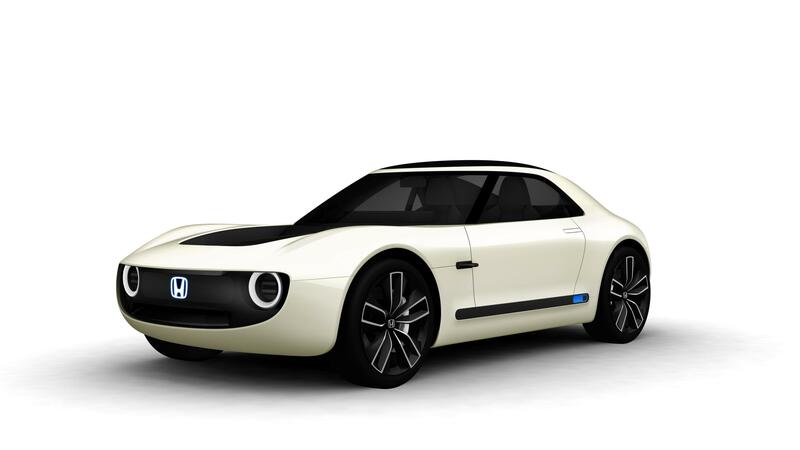 Built on a newly-developed dedicated EV platform, the Honda Urban EV Concept was also revealed to indicate the technology and design directions for Honda’s future mass-production EV models. A new model based on this concept will go on sale first in Europe, and then in Japan in 2020. The Honda NeuV is an EV concept model that explores the potential of mobility products which will be further expanded by automated driving technologies and AI. Honda said that NeuV makes judgments about the driver’s state of stress based on facial expressions and/or tone of voice and provides assistance to the driver to support safe driving and, by learning the driver’s lifestyle and preferences, provides suggestions to the particular driver, realising communication between driver and mobility. Slightly more back in the present, the new CR-V SUV was on show. It includes a hybrid model equipped a hybrid for the first time and also news that a three-row seating type will be added to the line-up of the petrol model. It goes on sale next year. The Clarity PHEV, a new-generation plug-in hybrid model, features an exterior form with low vehicle height, spacious cabin that seats five adults and a large-capacity cargo area. It also goes on sale next year. 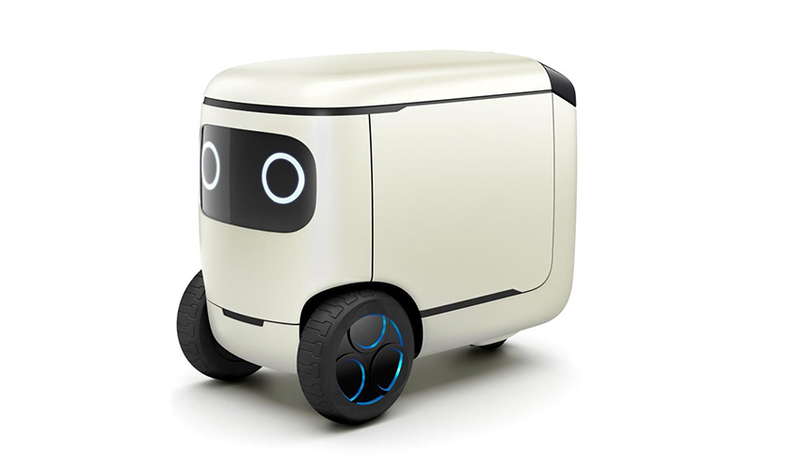 Looking somewhat further into the future, in a way that only Honda can, was the RoboCas Concept, a small-sized electric mobility product created “to make people’s dreams and ideas come true”. It said that different types of carrying space with a canopy can be “freely combined with a compact-sized vehicle body base which has a driving function”. The firm also exhibited a host of motorcycles and other futuristic mobility products at the show. Toyota unveiled a series of concepts and new models in Tokyo. The GR HV Sports concept, it said, represents a new way to enjoy cars by integrating the thrill of a sports car with the environmental friendliness of an eco-car. We can but hope. It takes design cues from the Totora Gazoo Racing TS050 Hybrid racing car that competes in the World Endurance Championship and its targa top is influenced by the firm’s convertible sports cars of old, including the Sports 800 and Supra. The concept is powered by the Toyota Hybrid System-Racing (THS-R) tech refined in the TS050. Also showcased was the Tj Cruiser, which “represents the harmonious balance between the roominess of a cargo van and the powerful design of an SUV”.It’s clearly aimed those ‘lifestyle’ type people, who want to take the same car to work and the mountains. Toyota says that the “T” stands for “Toolbox” in reference to how the car can be used like a toolbox, while the “j” stands for “joy” in reference to the joy of visiting various places by car. Inside, the passenger seat can be reclined completely flat, making it easy to carry lifestyle-y items like three-metre long surfboards and bikes. A nod to the past while looking to the future came in the form of the Crown Concept, a concept vehicle “developed in pursuit of driving performance and connected technology”. It features the blend of the Crown tradition with its birth in 1955 and the innovation to be expected in the Crown in a next generation mobility society, says Toyota. 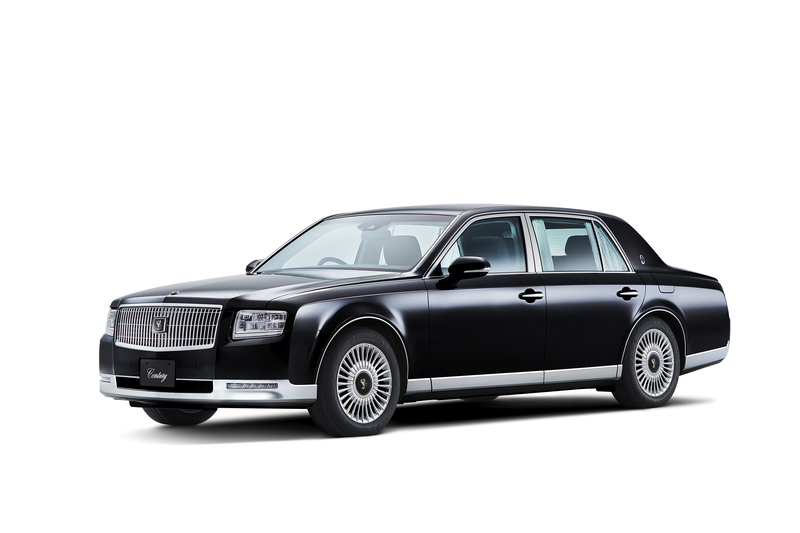 The new third generation Century was also unveiled, “carrying on the tradition of master craftsmanship and high-quality monozukuri (all-encompassing manufacturing) while realising high-demand environmental performance and a design layout that pursues passenger comfort”. The Century is now powered by a 5.0-litre V8 hybrid system for, Toyota says of a model that the UK won’t be seeing, outstanding fuel efficiency. In addition, the wheelbase has lengthened, the height difference between the scuff plate and floor has decreased, and the height of the door opening has increased, all of which are refinements improving the rear seat riding experience, it says. It’d be impossible to leave Britain’s best-selling car off of this list, so let’s begin with this. A household name for 40 years, the Fiesta is as popular as ever. Like all cars, it’s grown over the years and is now an all-rounder that can happily be used as your only car. The latest version is claimed by Ford to be the most technologically advanced small car in the world. The range now gets the Vignale treatment, bringing Ford’s posh moniker to its small car for the first time. There will also be an ST-Line sporty model, a Titanium and an Active crossover. It gets pedestrian detection – the first Ford to do so – and active park assist. You can have a Bang and Olufsen sound system and Ford’s latest infotainment system. 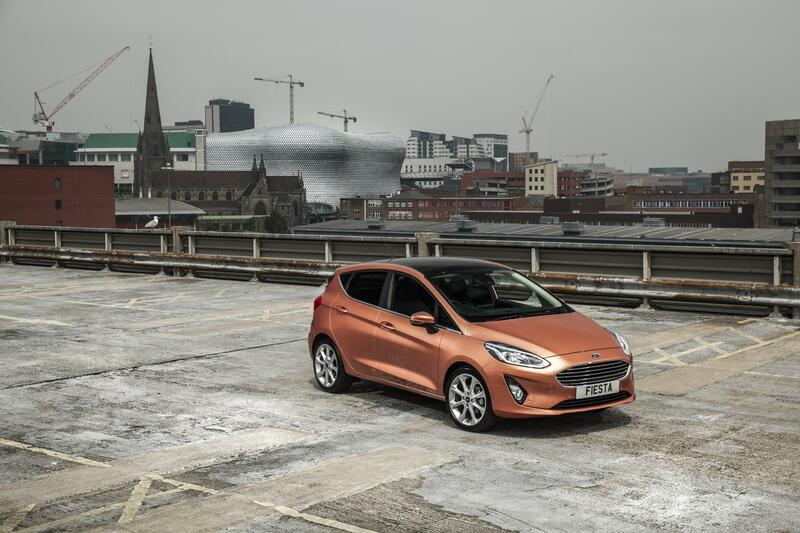 Engines include the 1.0-litre EcoBoost petrol, with 150ps, as well as the Fiesta’s first high-powered diesel. Prices start from £12,715. 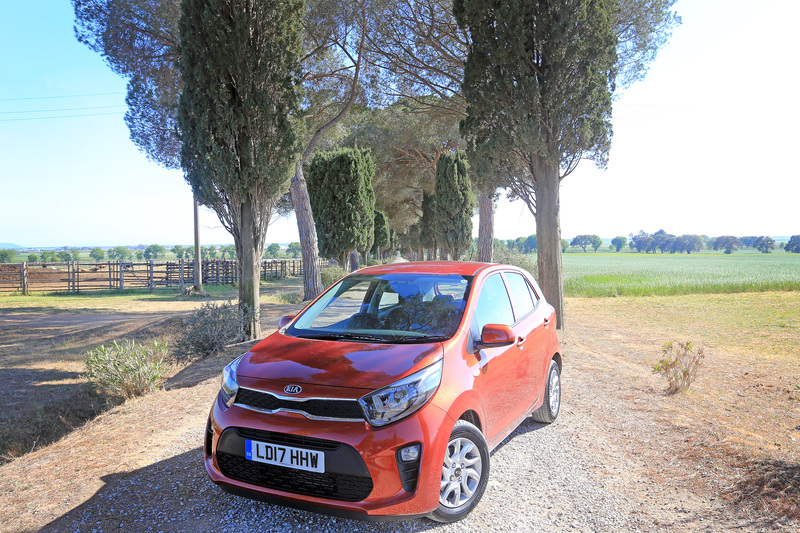 While Kia has gone upmarket over the years – and done very well for it – its little car remains true to the original ethos of affordable motoring that brought the South Korean firm to the UK in 1991. The Picanto is still functional and cheap, but with a decidedly 2017 spin. Base spec gets electric front windows, USB socket, auto headlights, hill-start assist, split folding rear seats and six airbags, which, arguably, is all you really need. Further up the range you can add automatic air con, electric rear windows, cruise control, sat nav, a rear parking camera, Bluetooth, heated mirrors, leather trim, alloys, body-coloured bumpers and door handles. The GT-Line has a nice sporty look to it as well. It’s roomier than ever, says Kia, with more luggage space. Kia hasn’t bothered with diesel engines, sensibly, so there is a base 1.0, a bigger 1.25 and the gem of the range, the turbo 1.0 T-GDi. The Picanto is quiet and refined at speed and the driving position is very comfortable, even for the tall. The interior is decent, if still a little basic until you get towards the top of the range. You can have one for as little as £9,450 and the most you can spend, at the moment, is £13,950. This quirky one from Citroen is everything that we love about French cars. 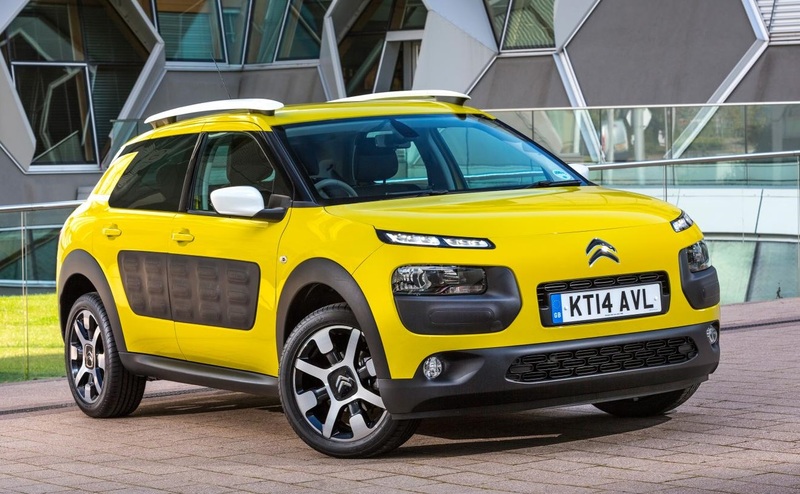 The C4 Cactus stands out, is actually rather good, and is packed with useful stuff. All cars have good kit, with standard spec including hill start assist, cruise control, electric windows in the front, a touch screen system and digital radio. 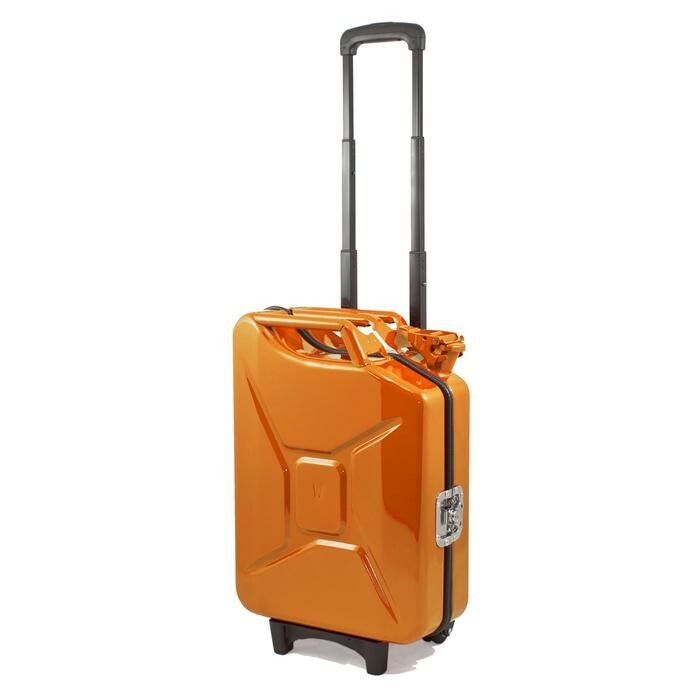 On the inside this crossover is minimalist and functional, but not lacking in smartness, and storage is everywhere. It’s low on running costs – CO2 on the BlueHDI diesel, for example, is a mere 92g/km, while claimed combined mpg is 80. Economy on all engines is in the 60s, with CO2 getting no higher than 107g/km. The Cactus is great value package, particularly for families. List price is a touch over, but there’s no reason you can’t bag one for just under £15,000 in reality. 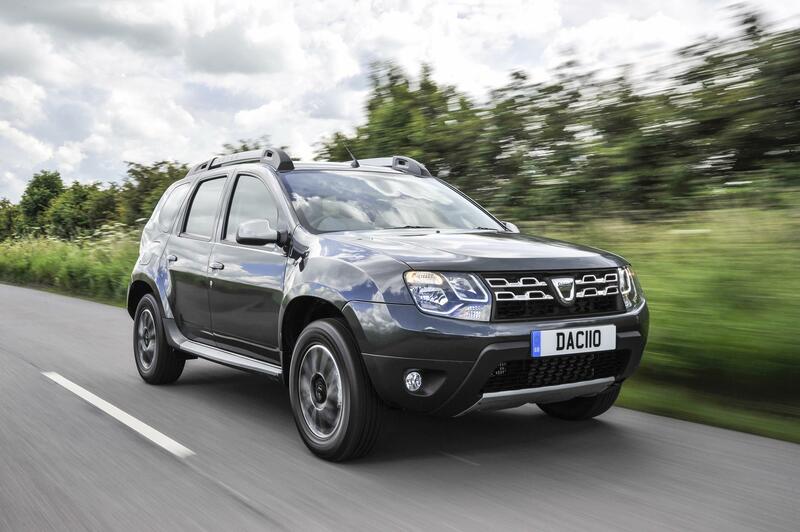 Dacia is a brand for those wanting no nonsense and the Duster SUV is a prime example. In fact, you’re unlikely to find a more capable new car at a lower price. You get plenty of space, plenty of practicality and decent all-round build quality thanks to Renault underpinnings. That also means that you get reliable, efficient and clean Renault petrol and diesel engines. And the value is plain to see – while the base model comes in well below our threshold here – at a bargain £9,495 – even the top-end version, with all the bells and buttons, only busts our top end by £195. And there’s a new one coming, too. The next generation Duster is coming in mid-2018 – the question is whether it will stick to the same ethos. Dacia is promising new styling, equipment and an updated interior. There will also be new kit including a multi-view camera, blind spot warning and automatic air con. 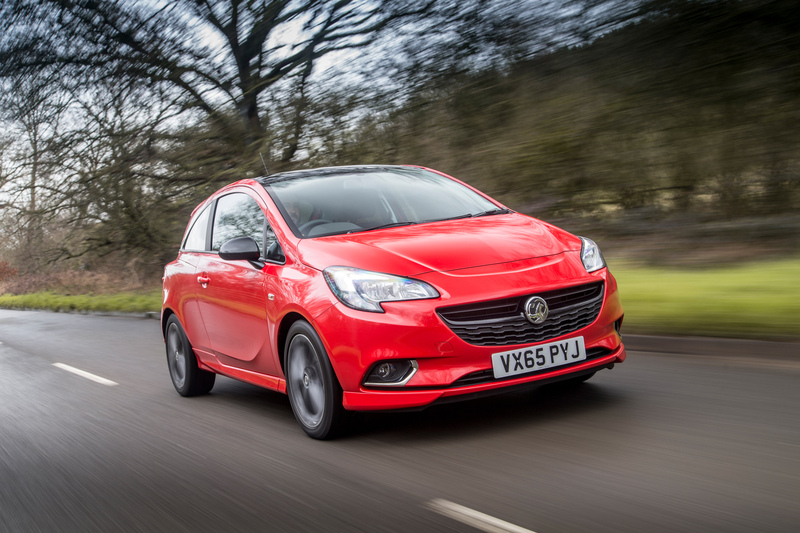 It is perhaps a testament to the Corsa’s popularity that Vauxhall only tends to see the need to give it a major overhaul every eight years or so. The current Corsa is a couple of years into its life now and still looks nice and fresh. Like most Vauxhalls, it’s come a long way since the previous generation and is now modern and slick inside and out. There are decent petrol and diesel options, all clean and efficient and, for the most part, peppy. There’s decent connectivity on offer and the Corsa comes with very handy wifi as well. There are some nice sporty versions to be had as well. Prices start from less than £10,000 and Vauxhall is always up there when it comes to tempting finance deals.